Home Tips Why I recommend purchasing points when they are on sale ? Why I recommend purchasing points when they are on sale ? 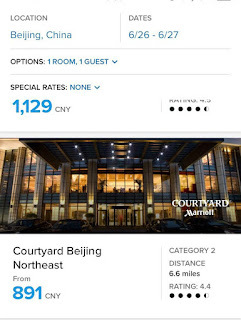 Recently, there are quite a few promotions regarding buying hotel points, and many people don't realize how good these deals can be. I am not going to give you a so called "points value" as most of the other travel and mile blogs do, but instead, I will use an example to showcase why I recommend buying points whenever they are on sale. I will use SPG and Marriott as an example here. 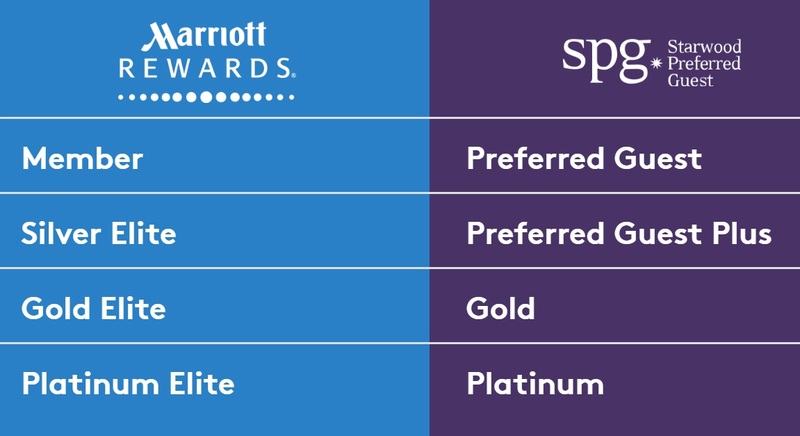 Marriott has been merged with Starwood Preferred Guest (SPG) since the end of last year, and one of the main change (good news) is that after linking our SPG and Marriott accounts, not only can we have the instant status match, but more importantly, we can transfer SPG points to Marriott points with a ratio of 1:3. 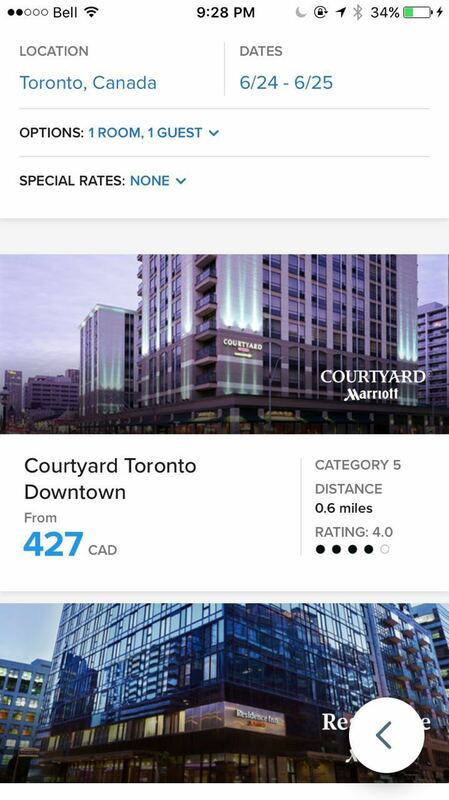 Summer is the prime season for tourism in North America, and let's take a look at the one night rate of Courtyard Toronto Downtown here: 427 CAD before tax! Just for comparison, it is just around 170 CAD during low season. 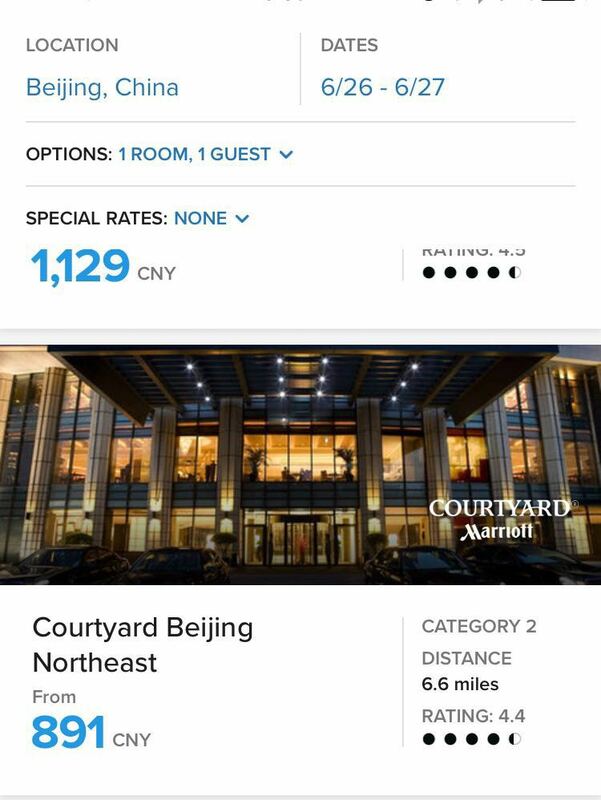 But if we are using points, this property is a category 5 Marriott Hotel, which will cost you 25,000 Marriott Rewards points per stay-equivalent to 8,333 SPG points. More classical examples can be found in China, regardless of the season. I will just post a screenshot here, and leave the calculation to you if you are interested. 1. IHG buy points and get up to 100% bonus. 2. SPG 35% off for a minimum of 5000 points purchase.